An example of lying outright by a company that got away with it! 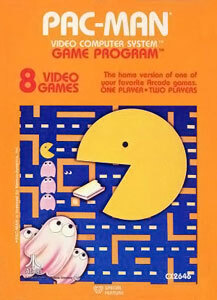 In 1981, Pac-Man was the hottest video game in the world, and Atari was one of the most respected video game companies. So when Atari decided to make a home version of Pac-Man for its 2600 system, people expected it to be fantastic. We know that millions of people all over the world just love the PAC-MAN arcade game. PAC-MAN has won the hearts of men, women, and children everywhere. We also know that PAC-MAN has traditionally been an arcade game. Well, we at ATARI know all about arcade games. After all, we make some of the greatest arcade games in the world, and we know how to bring the same dynamite game play into your home. Having played both the original arcade game and the Atari home version of Pac-Man, I knew immediately that Atari was bullshitting everyone, but it somehow got away with it! It shouldn’t have! I would have gladly taken part in a class action lawsuit against Atari for that act of fraud on its part. If I had been the CEO of Midway Manufacturing Company, which made the arcade Pac-Man that Atari was supposed to duplicate, I would have sued Atari too! This entry was posted in dishonesty, ethics and tagged Atari, Atari 2600, Atari Games, Pac-Man, Video game. Bookmark the permalink. The sound effects in the original arcade game of Pac-Man were nothing like what was heard in the Atari 2600 version. So this was clearly false advertising!